Home > Construction Training Manuals > Construction Mechanic Basic > Figure 6-25.Filter System Configurations. 1. The full-flow system (fig. 6-25) is the most oil filter to allow the oil to circulate through common. All oil in a full-flow system is the system without passing through the element circulated through the filter before it reaches the in the event that it becomes clogged. This engine. 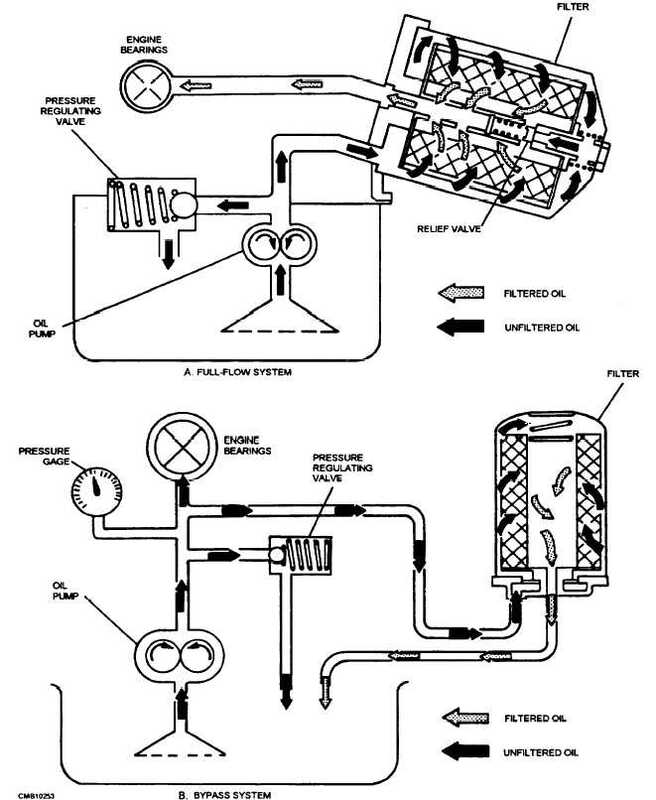 When a full-flow system is used, it is prevents the oil supply from being cut off to the necessary to incorporate a bypass valve in the engine. Figure 6-25. - Filter system configurations.